Derong Liu received the Ph.D. degree in electrical engineering from the University of Notre Dame in 1994. Dr. Liu was a Staff Fellow with General Motors Research and Development Center, Warren, MI, from 1993 to 1995. He was an Assistant Professor in the Department of Electrical and Computer Engineering, Stevens Institute of Technology, Hoboken, NJ, from 1995 to 1999. He joined the University of Illinois at Chicago in 1999, and became a Full Professor of electrical and computer engineering and of computer science in 2006. He was selected for the "100 Talents Program" by the Chinese Academy of Sciences in 2008. He has published 10 books. 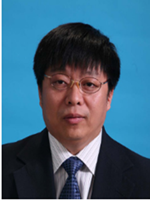 Dr. Liu has been an Associate Editor of several IEEE publications. Currently, he is the Editor-in-Chief of the IEEE Transactions on Neural Networks and Learning Systems, and an Associate Editor of the IEEE Transactions on Control Systems Technology. He was an elected AdCom member of the IEEE Computational Intelligence Society (2006-2008). He received the Faculty Early Career Development (CAREER) award from the National Science Foundation (1999), the University Scholar Award from University of Illinois (2006-2009), and the Overseas Outstanding Young Scholar Award from the National Natural Science Foundation of China (2008). He is a Fellow of the IEEE.